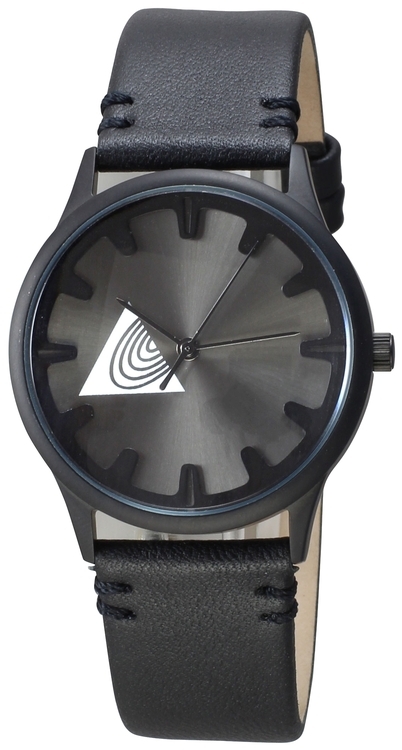 Angled blue accents make this piece stand out among the rest. 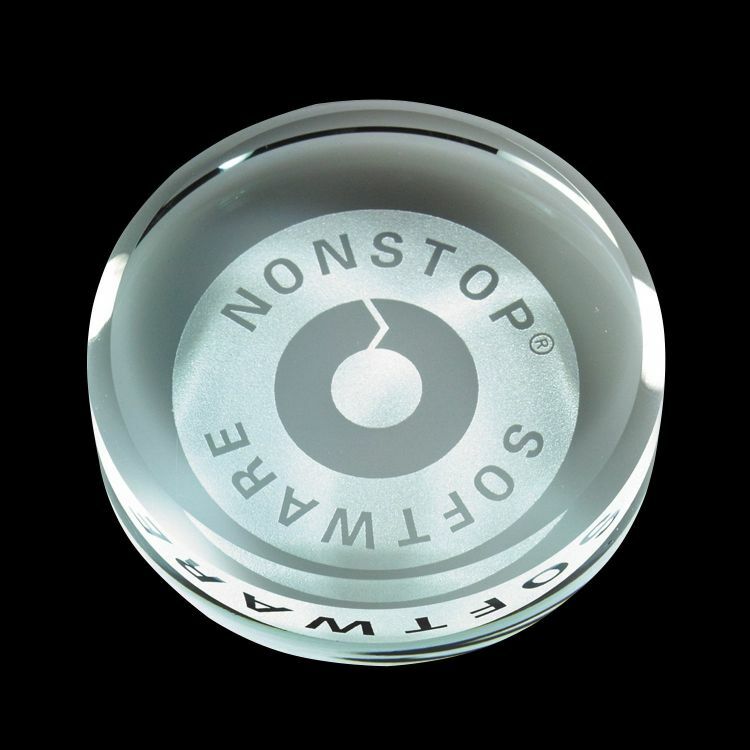 Large imprint areas and steadyclear bases finish out the piece. 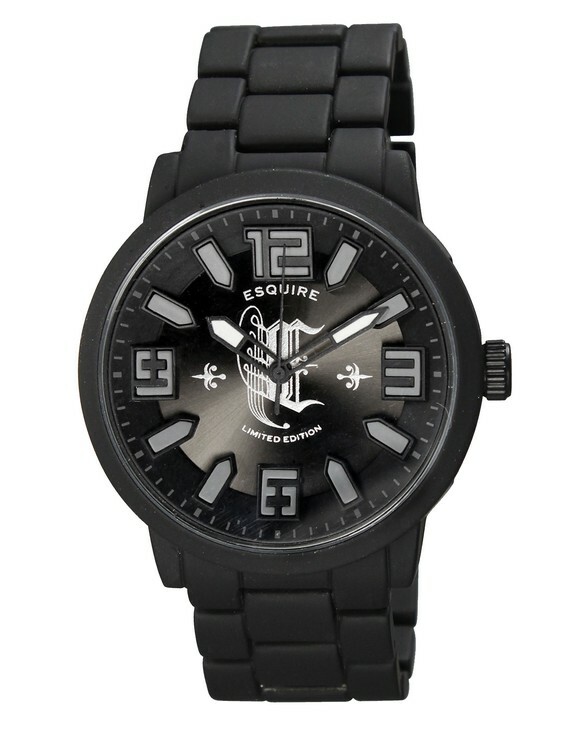 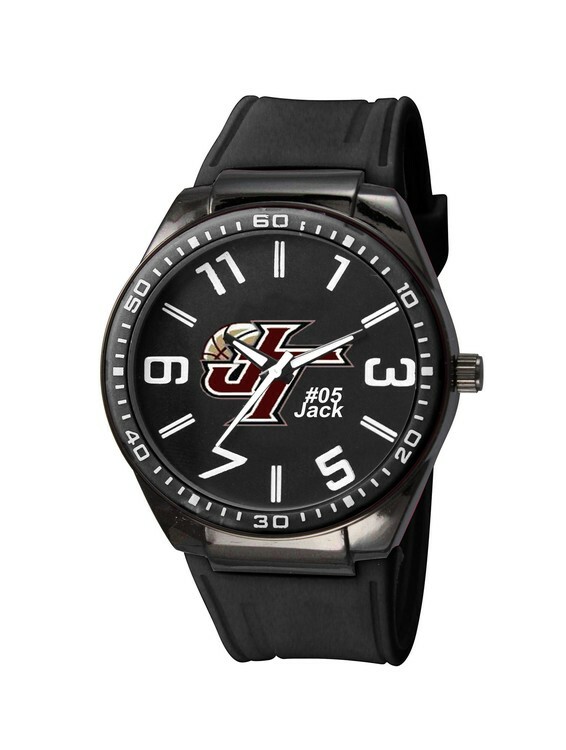 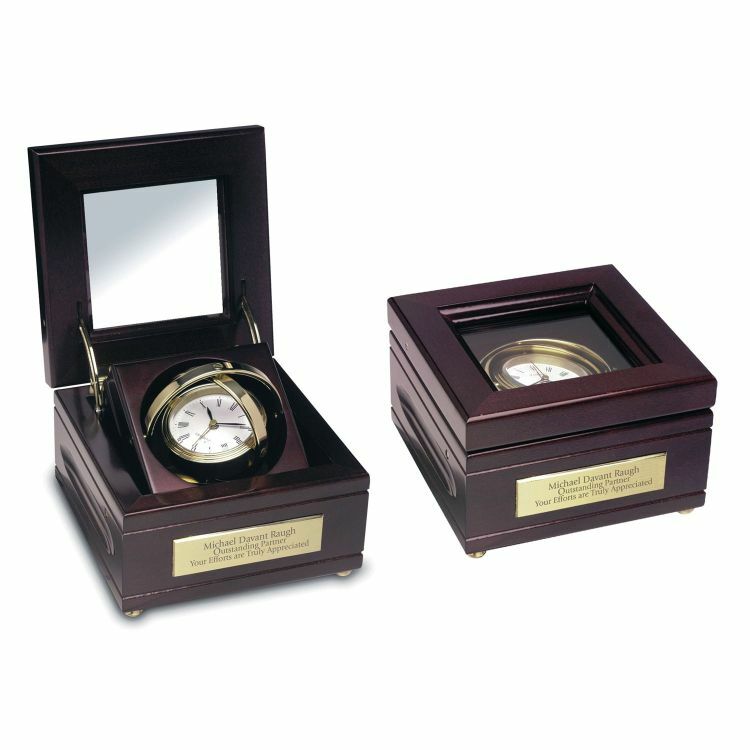 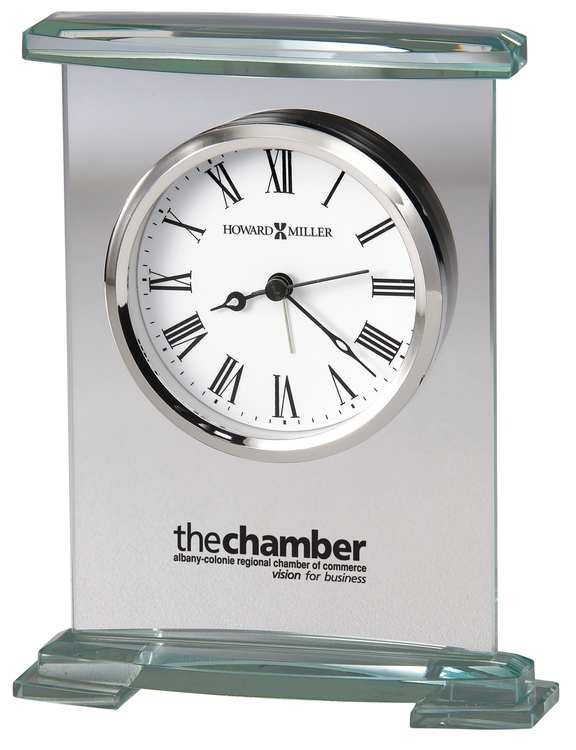 A deluxe quartz movement with a waterfall bezel is suspended in acrylic and held upright with silver posts. 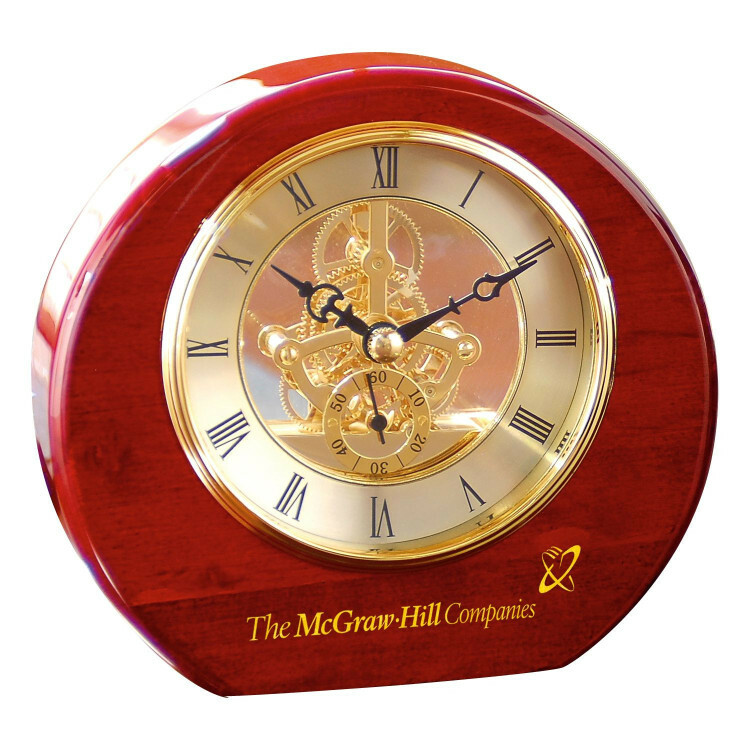 A rosewood base completes the piece. 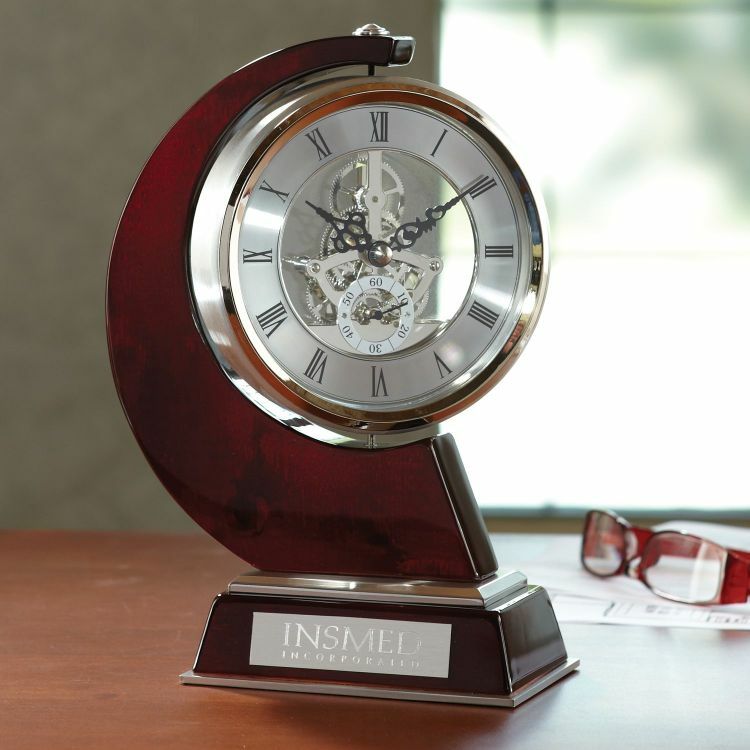 An awe-inspiring work of art! 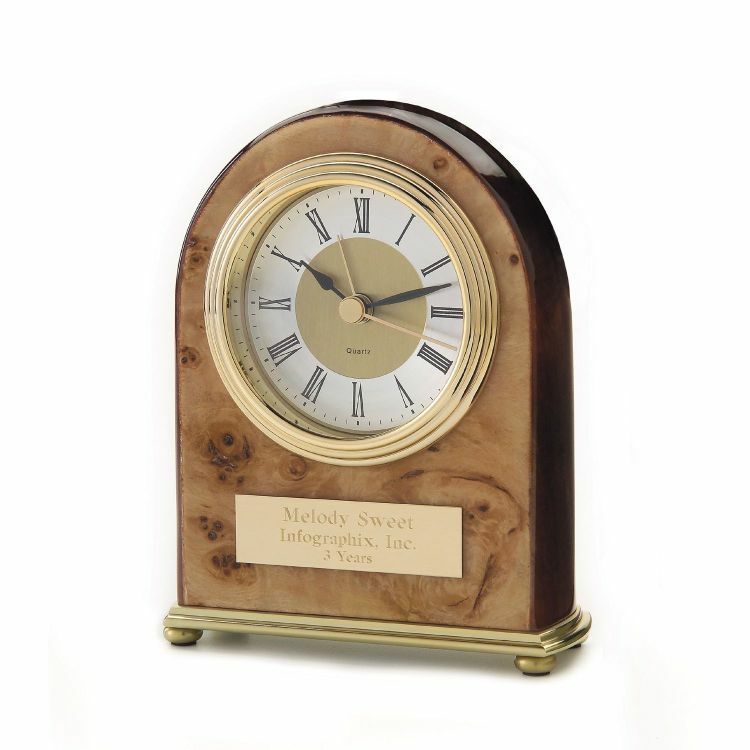 An uplifted gimbled movement within a wood frame adds to the exquisite hardwoods and pane glass. 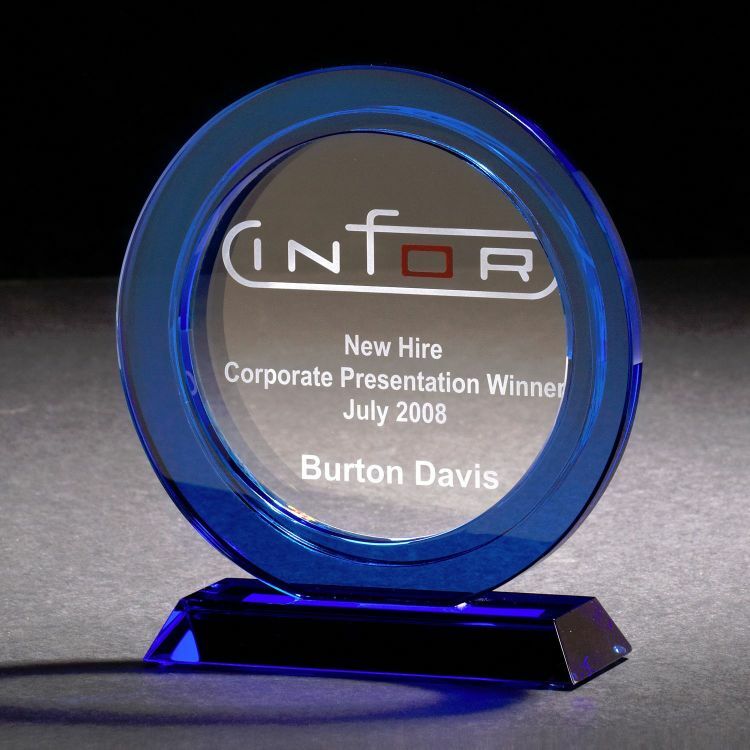 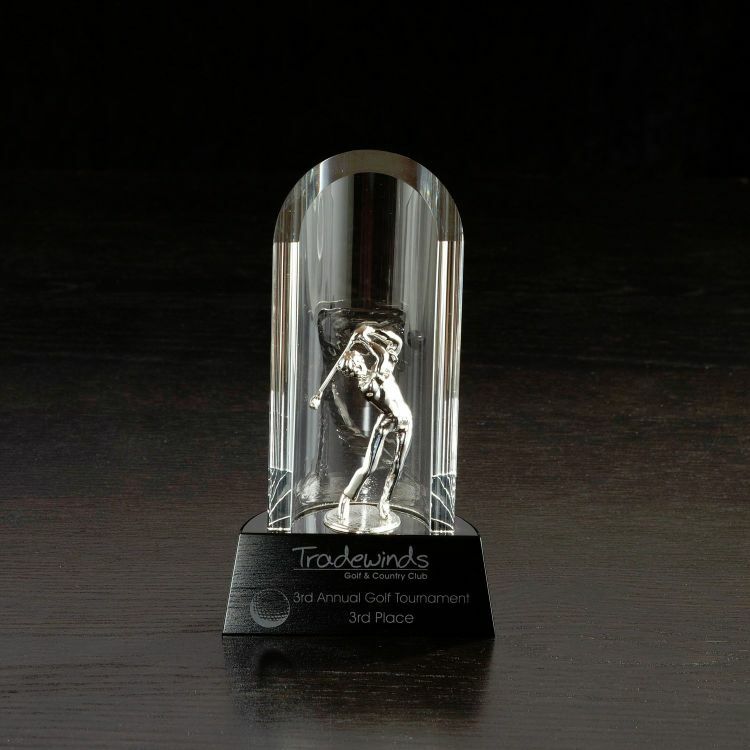 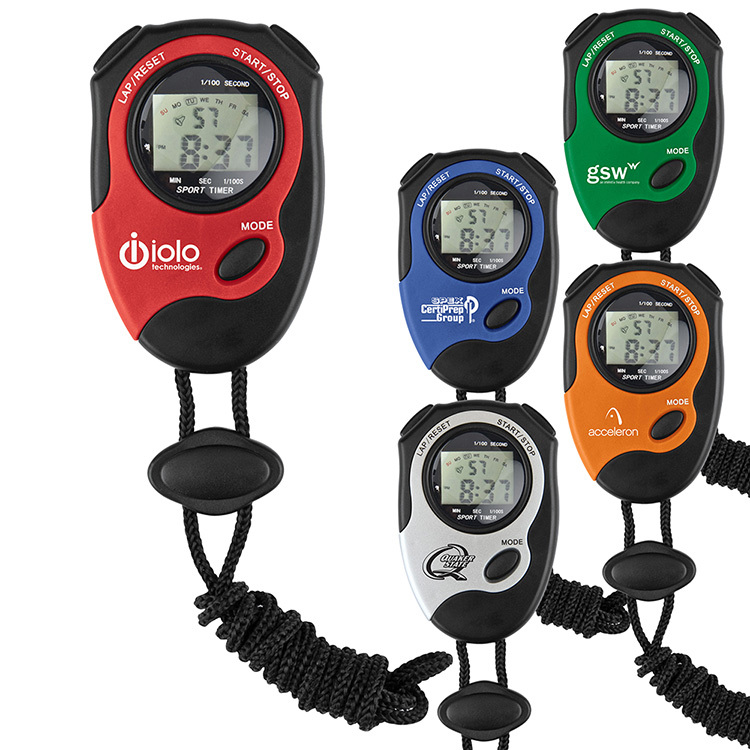 Your top finishers will beam with pride after winning one of these black and clear Optically Perfect awards with metal golfer on display. 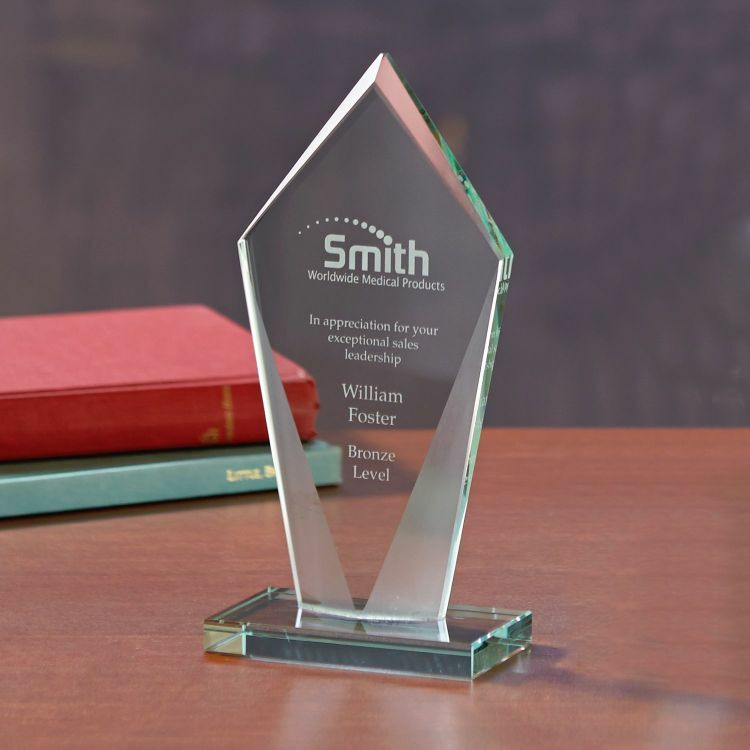 With four possible imprint areas, this frosted art glass award offers beauty, substance, and flexibility of imprint; while commanding attention in every setting. 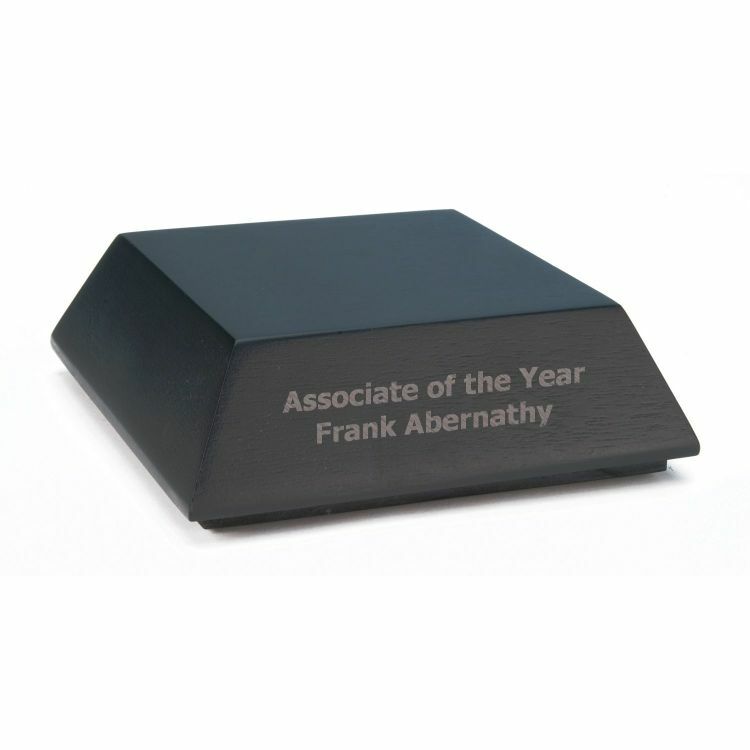 The rosewood base gracefully sets the stage for this award. 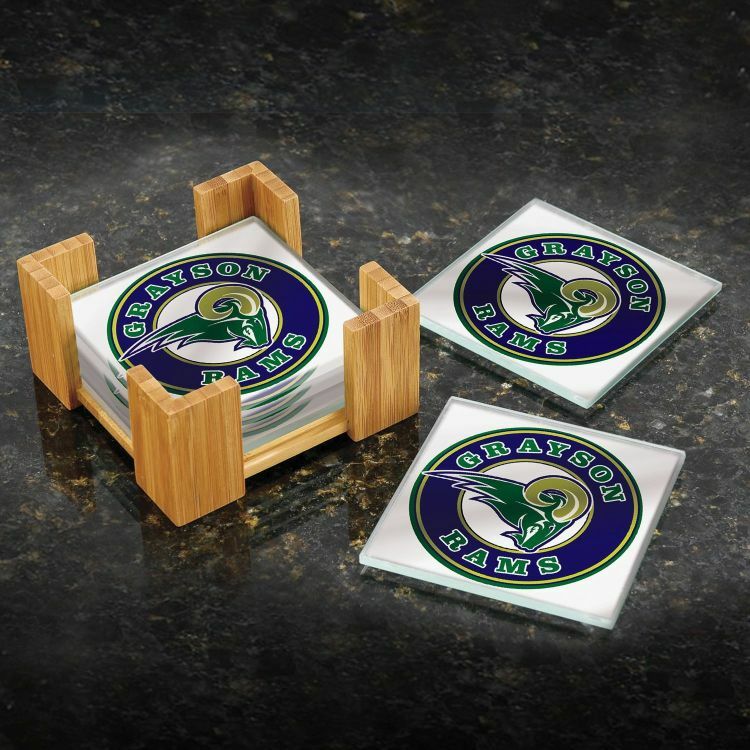 Made of jade glass. 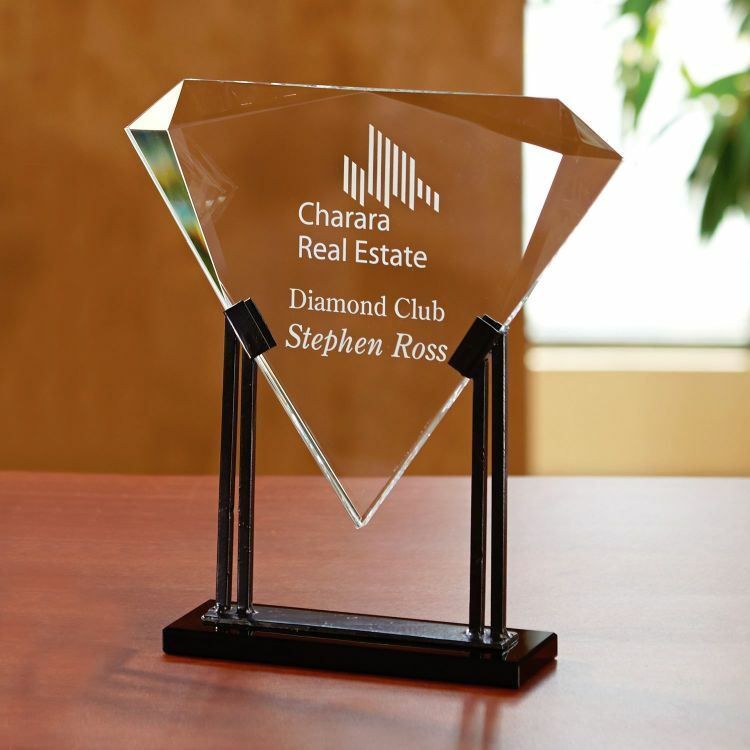 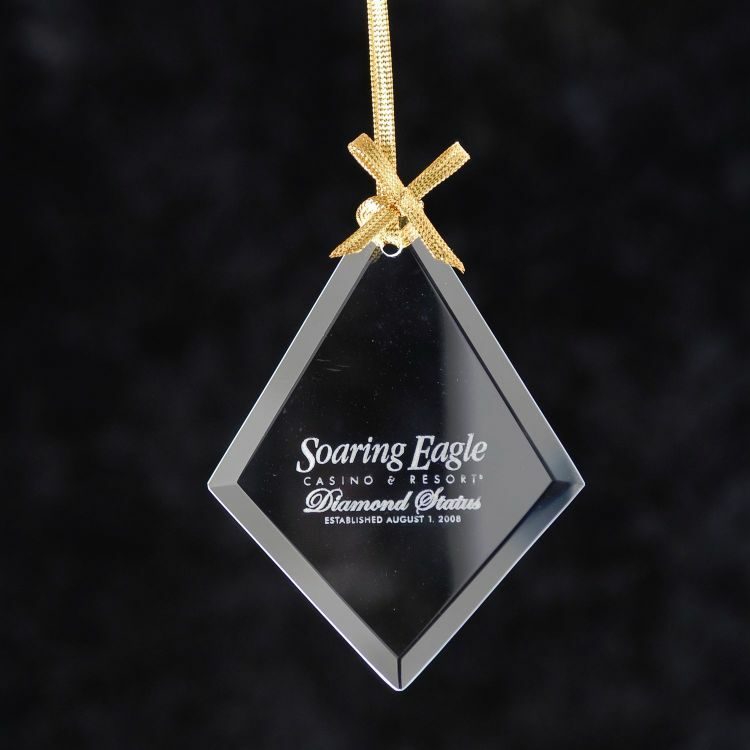 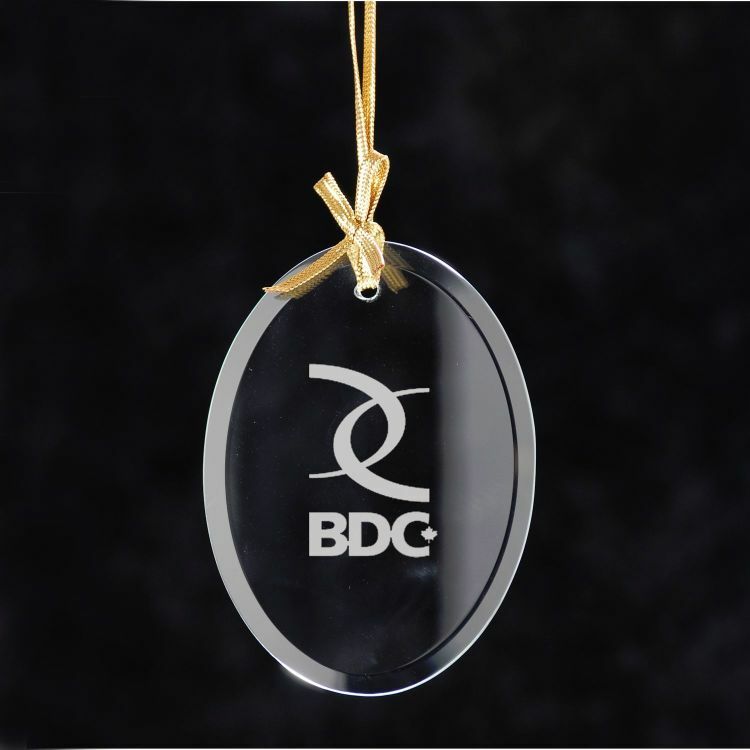 This diamond shaped ornament could be used for an award, gift, or simply as a decoration. 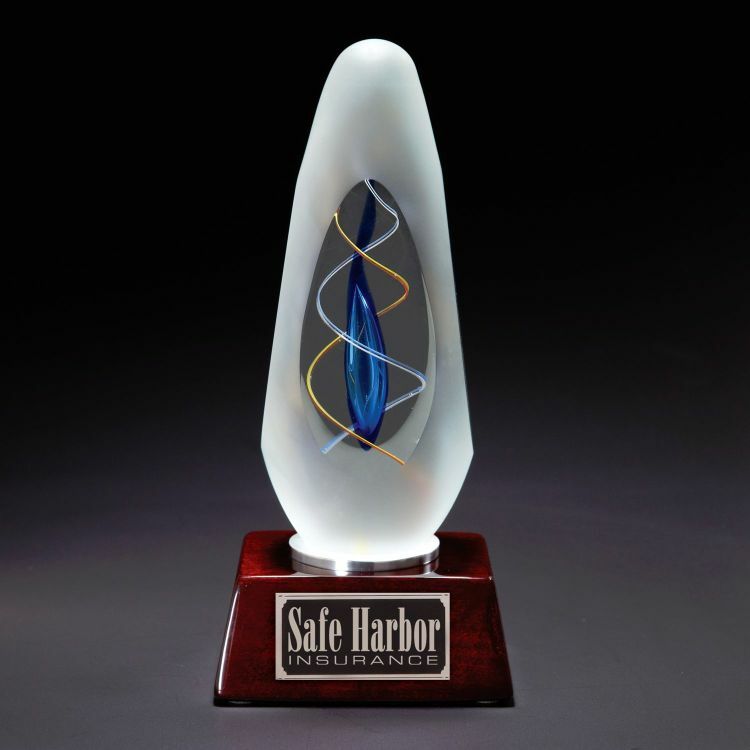 Pure jade glass pear-shaped award perched on a rectangular pure jade glass base. 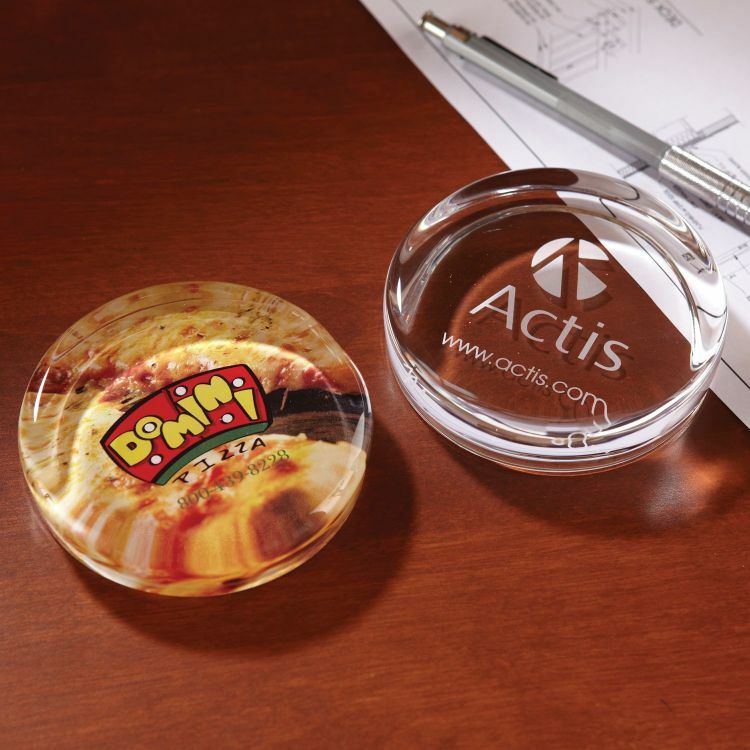 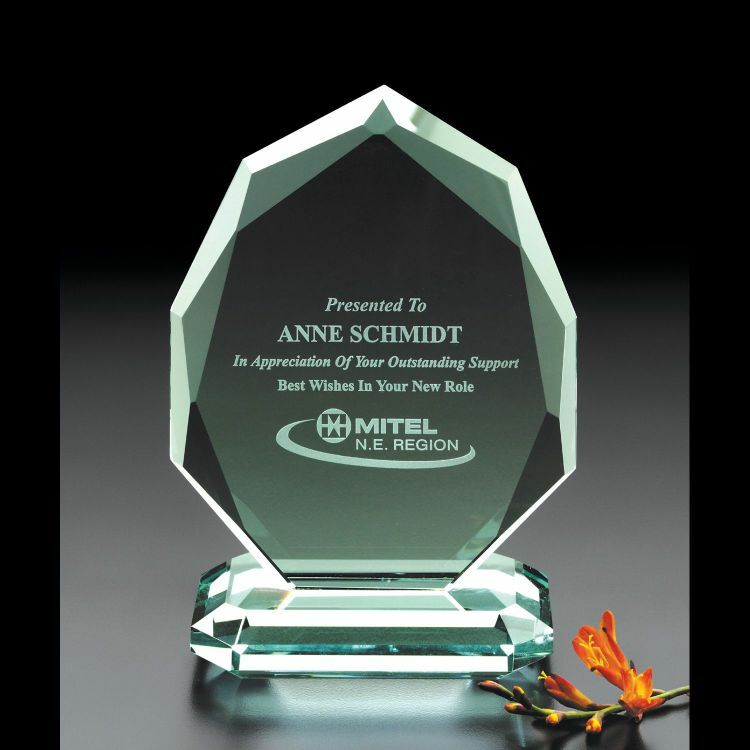 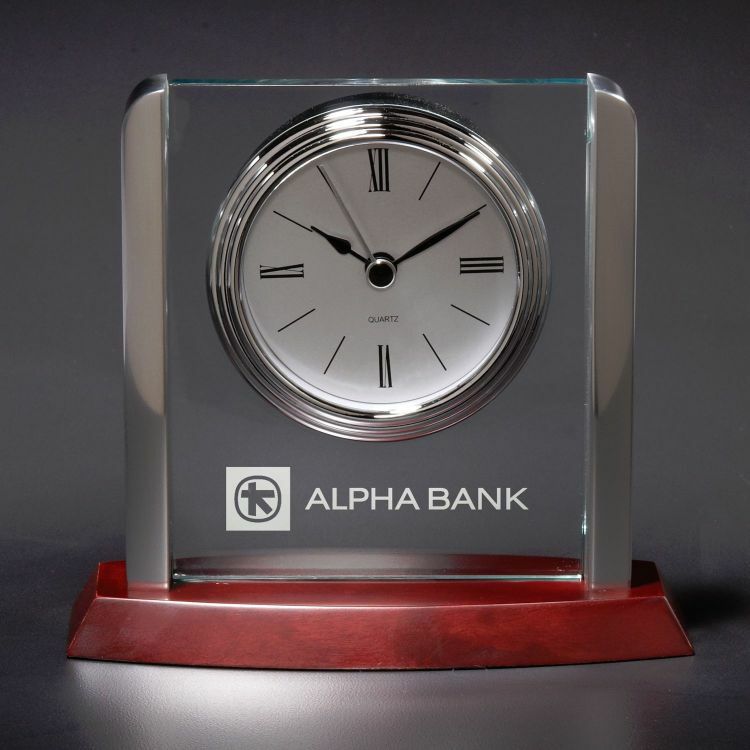 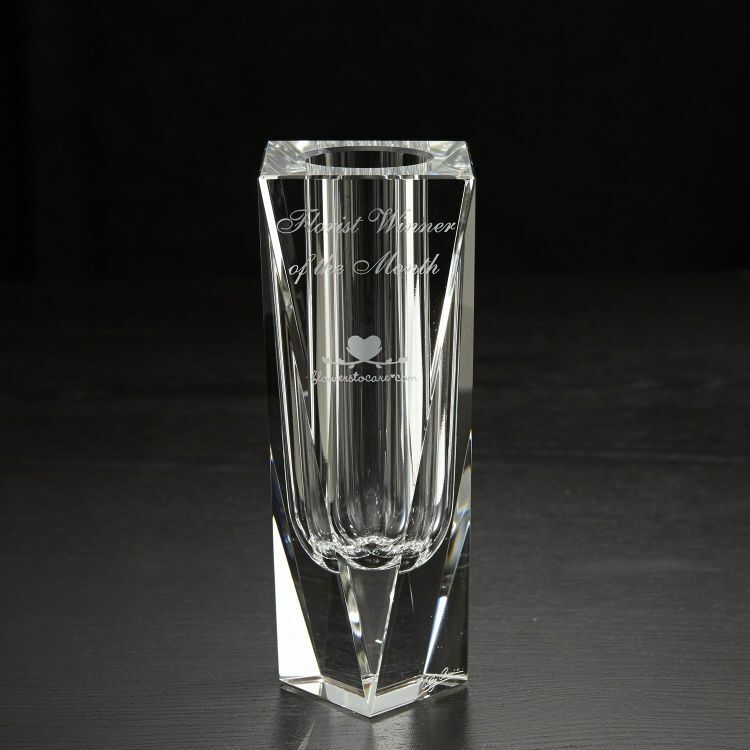 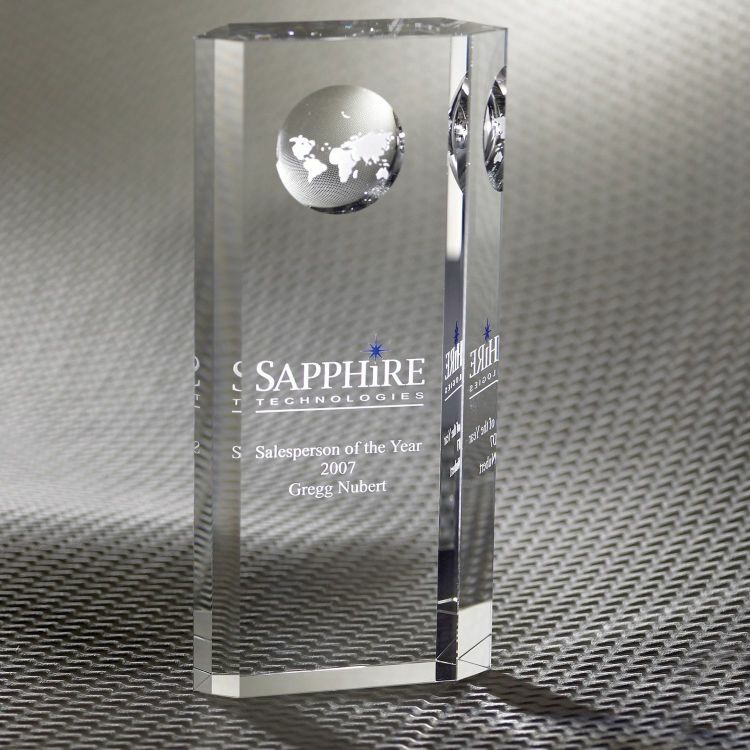 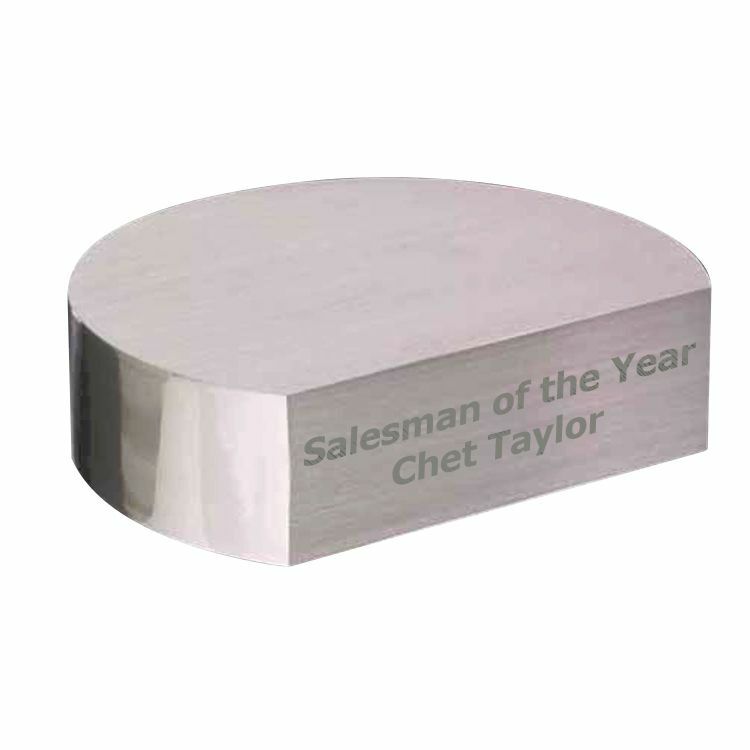 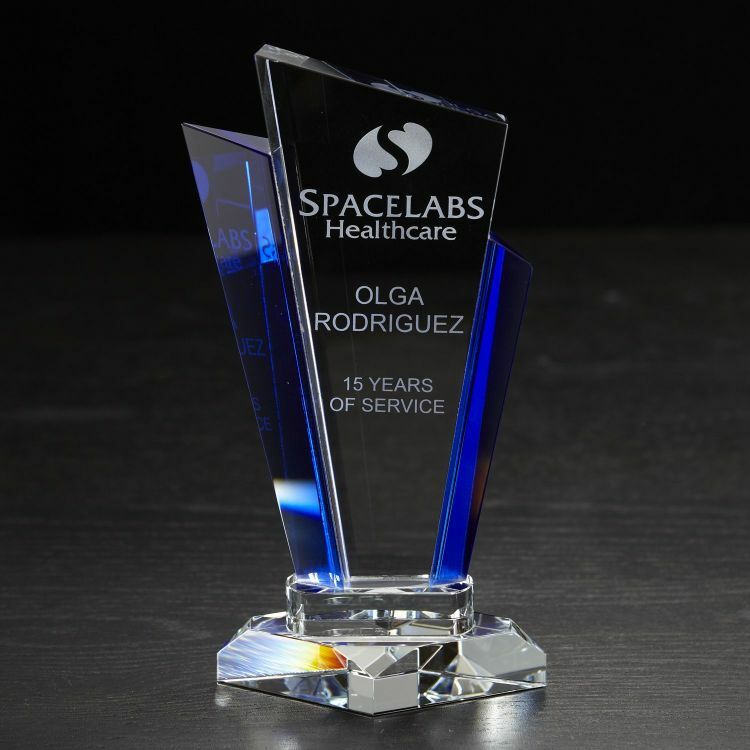 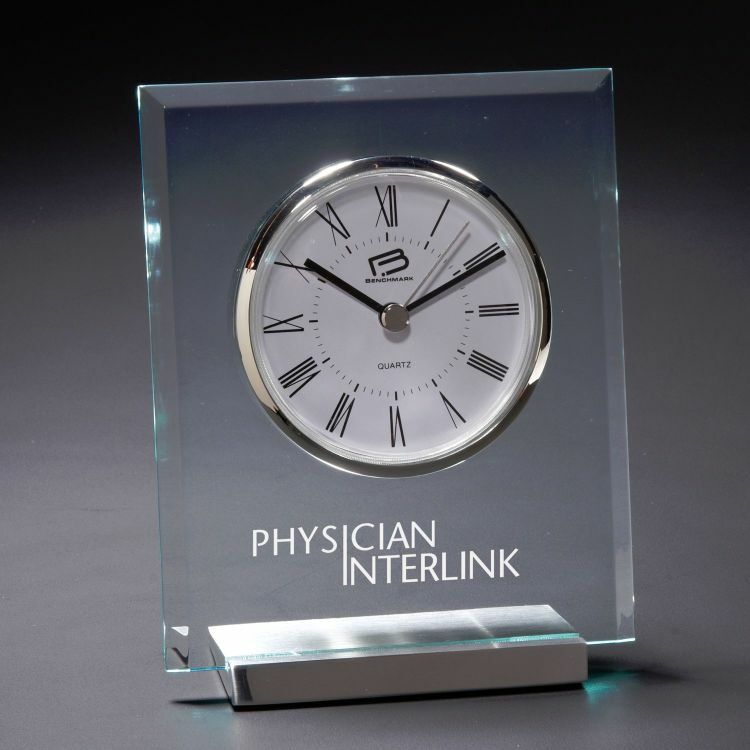 The perfect low-cost, high value glass award with beautiful beveling and sizable imprint area for any award program. 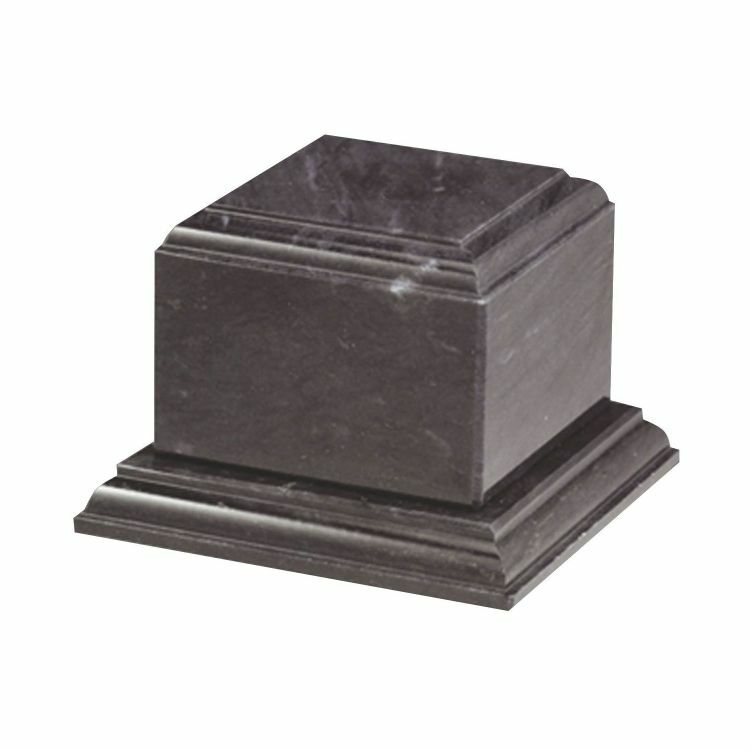 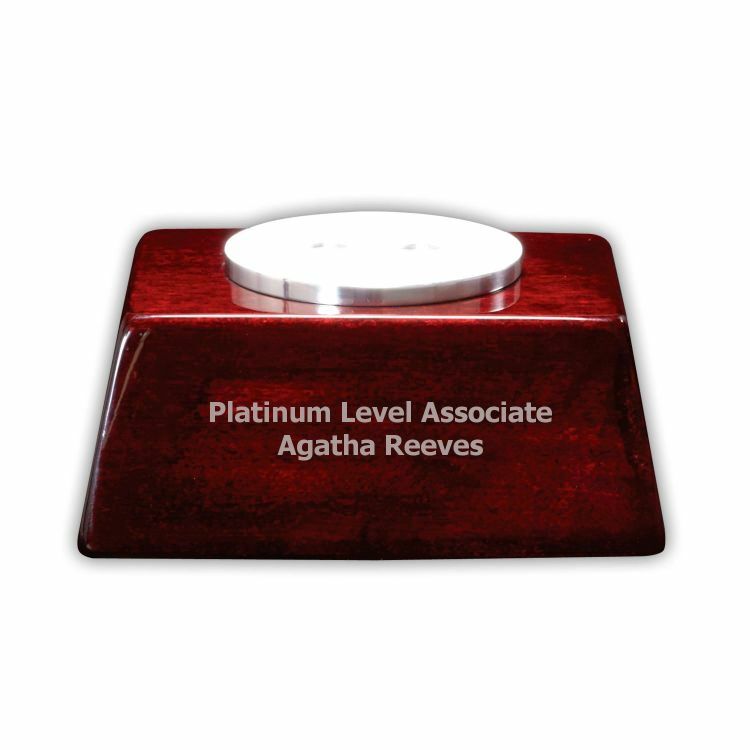 This impressive Optically Perfect obelisk features sharp and clean cuts along its side and a concave etched globe on its reverse.